In the aftermath of the First World War a local landowner, Captain Alban Head, donated land to the community for the improvement of sports and ‘general health’ of the local people. The ‘Alban Head’ playing field was donated to the National Playing Fields Association (now known as Fields In Trust) who then leased it for 100 years to the management of the Parish Council. The management of the Playing Fields, which is a registered charity, has always been undertaken by a committee, has always aimed to represent all the users of the field, including the local sports clubs. The Alban Head is a beautiful site adjacent to the Barlavington estate. It has been well looked after and preserved for the community directly in line with the original intention of Captain Alban Head and uses approximately 50% of the parish precept each year for its upkeep. Currently it is most used by dog walkers, families, especially using the play area and the local football and cricket clubs. Local youth groups. schools and Lodge Hill all use the field on occasions. The Alban head Committee meets regularly to look after the running of the field, to listen to local views for instance of the residents, and the wider community and to help the use of the field by the sports clubs. It is also responsible for the upkeep of the pavilion, the fencing and all other aspects of maintenance. 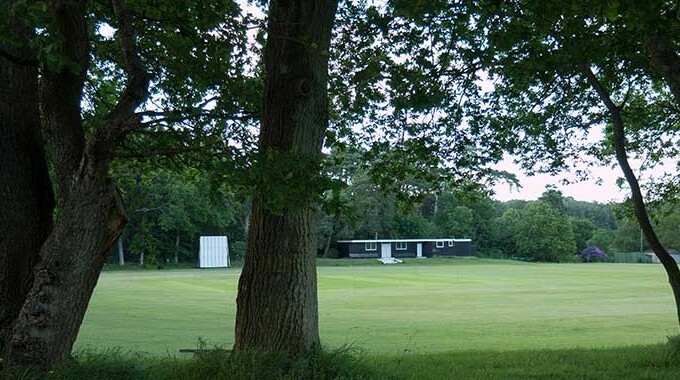 Recently we have been fortunate in receiving support from West Sussex County Council to replace the pavilion roof. The Committee and the Parish Council see themselves as the custodians of the field to preserve this valuable resource for the long-term benefit of our community.